Well it’s that time of year again! Time for my favorite holiday: Passover. A time to gather with family and friends, eat, drink a ton of wine (Manischewitz if you can handle it) and basically enjoy one of the best foods in the world, Matzo Ball soup. Oh, I will be posting the soup sometime this week. Don’t you worry. But until then, it’s time to put away the flour and the leavening agents and get down to some kosher for Passover dessert. Every year I try to experiment with new recipes for the Passover Seder. Although the tried and true will be making an appearance on the blog this week, I wanted to start off by bragging about what should be an amazing kosher for Passover torte (cake) I made. It is an intermediate level cake, only because it does require folding, weighing of ingredients and a steady hand. 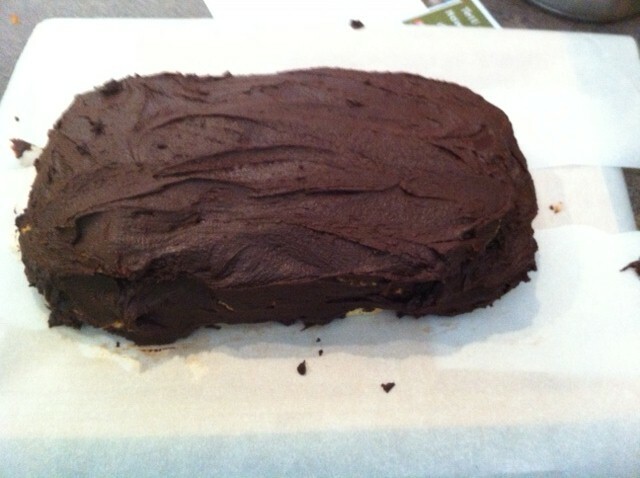 It is rather quick to make, and the frosting is so yummy I may actually use it again in place of a typical ganache. I think it would be even more amazing if I made it with an orange simple syrup instead of a regular one. A few notes. 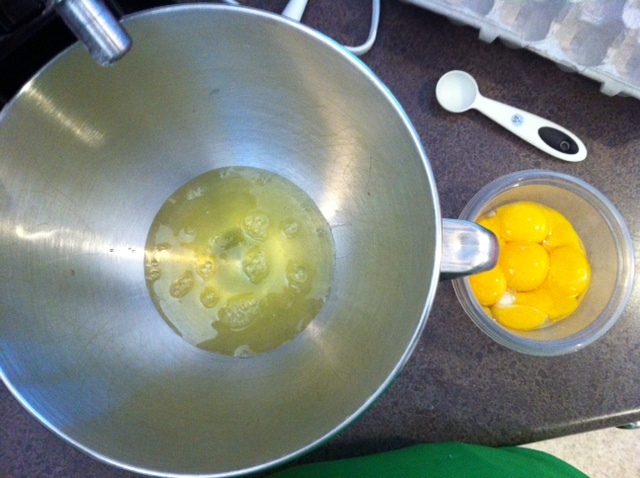 First, make sure when you separate the eggs, you don’t let any yolk into the whites. Keep those yolks because next week I am going to tackle a hollandaise sauce. Second, when folding, only add your almond meal mixture in a bit at a time. Too much and you’ll deflate your whites more than you want to. So don’t be like me and get impatient. Folding is about patience. Also, don’t make your chocolate frosting too early. 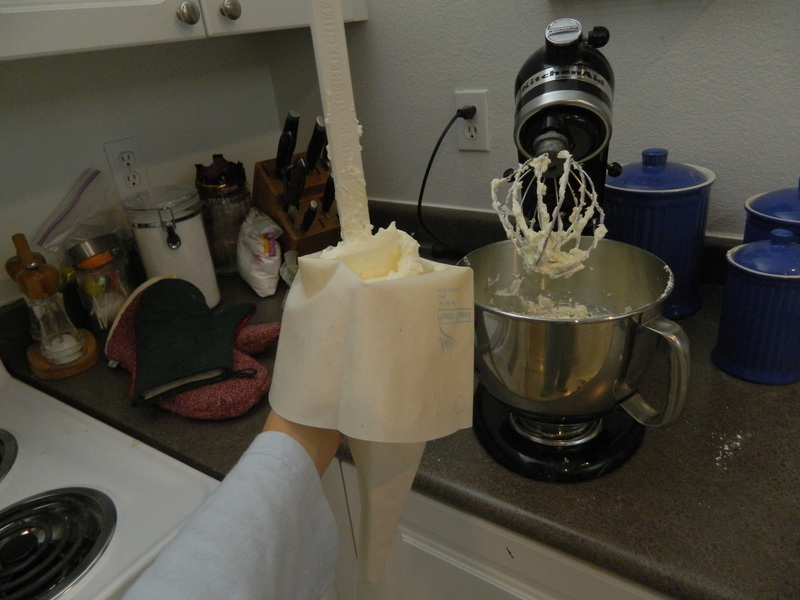 It actually goes much quicker than it seems, and you still want warm chocolate frosting to make spreading easier. Mine got a little too settled and was more difficult to make pretty. So to counteract that, I would start once the cake comes out of the oven. The timing is way off on the original recipe. I did mine in 20 minutes, and it was perfect and golden brown. So make sure you rotate the pans at 10 minutes, then start checking at 20. Another trick for cake decorating is to place strips of parchment paper underneath the first layer so that the platter will be clean after you frost. Just wiggle the paper strips out from under the finished cake. Also, you can make this cake a day or two ahead like I did, just tent it with foil and wax paper (so it doesn’t stick) and leave it at room temperature. I actually think it will set better. I am so excited to try this tonight. It is going to be intensely sweet and delicious, and hopefully everyone will enjoy! Position an oven rack in the top and lower third of oven and preheat oven to 325°F. 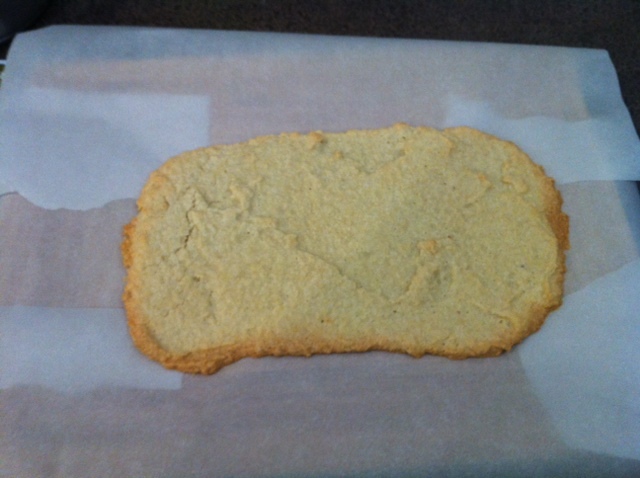 Prepare 2 cookie sheets with silpats (recommended highly if you don’t have them) or parchment paper. Place almonds, 1 cup sugar and coarse salt in a food processor (you can skip the food processor, however, if you use an equivalent weight of almond meal or ground almonds, just mixing the ingredients in a bowl) and blend until finely ground. 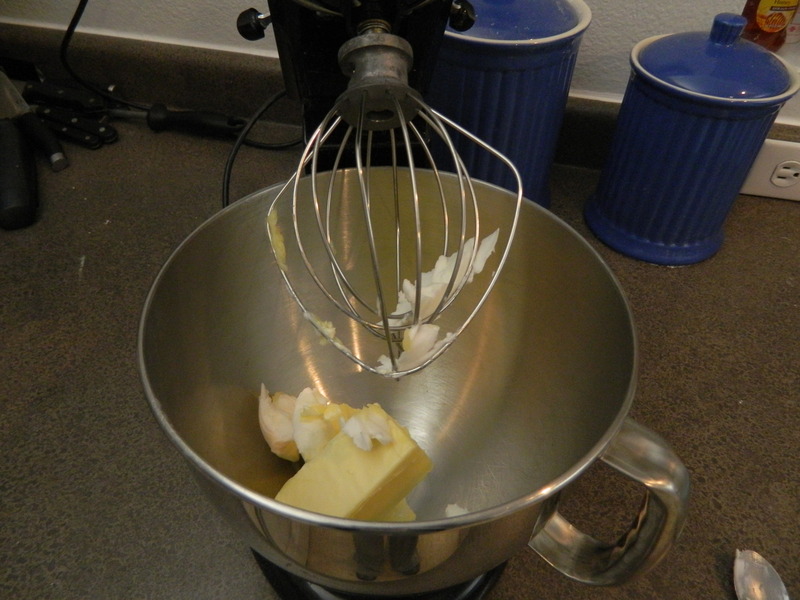 Using electric mixer, beat egg whites in large, dry bowl with clean beaters (or a whisk attachment) until soft peaks form. 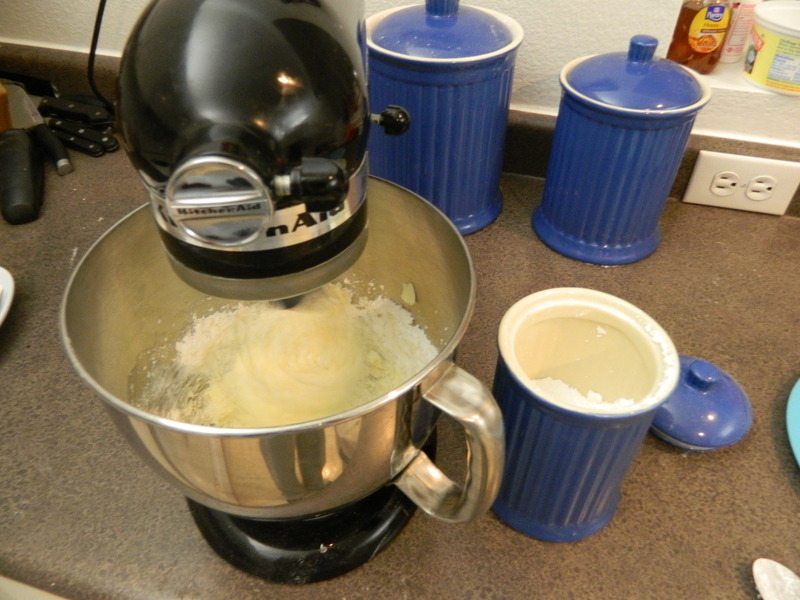 Drizzle in vanilla extract, then slowly add remaining 3 tablespoons sugar. Beat until stiff. 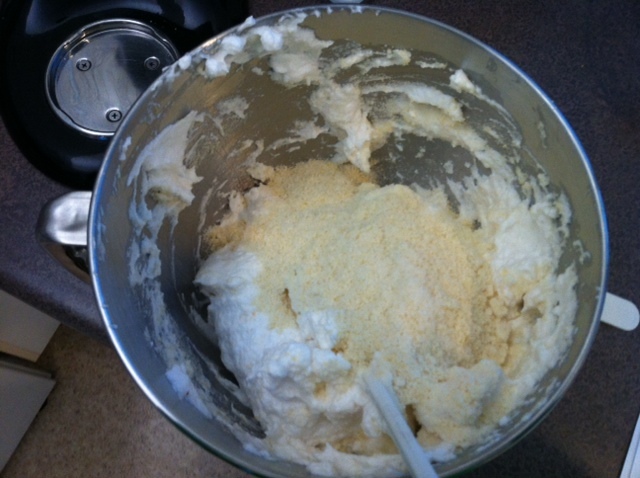 Fold nut mixture into egg whites. 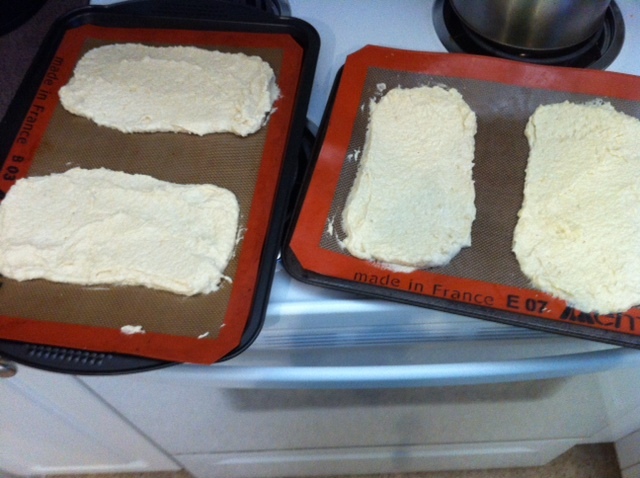 Spread 1/4 of macaroon batter to form a rectangle. Repeat, making 2 cakes per tray. You can eyeball like I did if you don’t mind messy layers. Otherwise, the original recipe calls for drawing 4 4×12 rectangles on the parchment paper (pen/pencil side down) and filling in the rectangles. Bake macaroon layers until golden and almost firm to the touch in the center, reversing sheets halfway through. About 20-25 minutes. Cool macaroons on their sheets on a cooling rack. 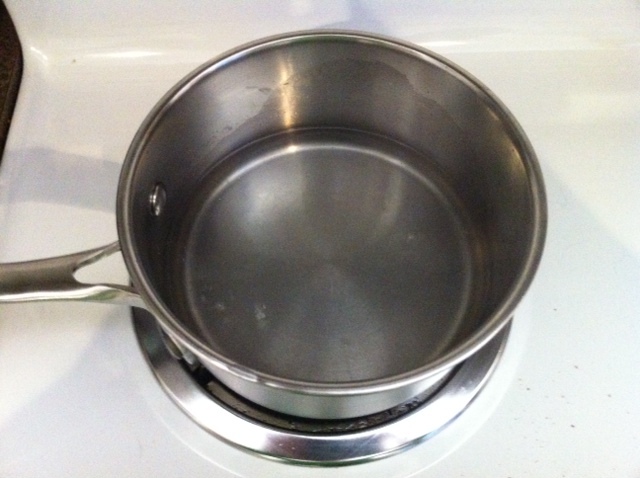 Simmer 1/2 cup of water and sugar in a medium saucepan until sugar dissolves. 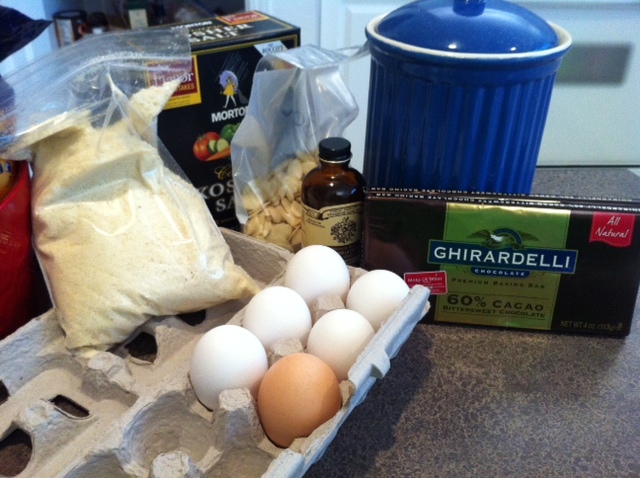 Measure 10 tablespoons from this and either discard the rest of save it for another use. 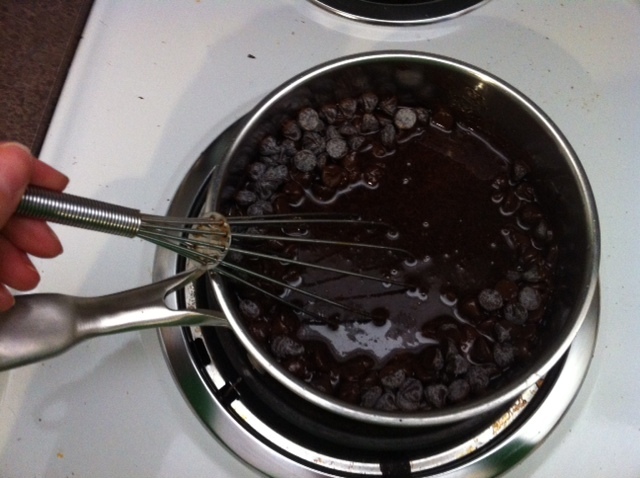 Put the 10 tablespoons syrup back in the saucepan and add flavoring of your choice. Bring the syrup back to a boil and add chocolate to the saucepan. 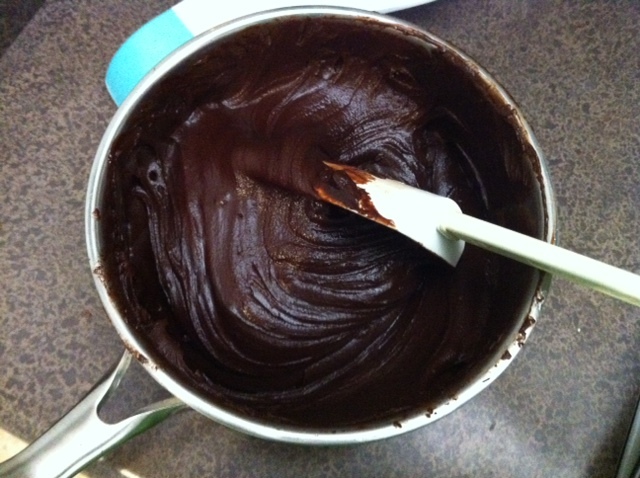 Remove from heat and let sit for one minute, then stir the chocolate until smooth. 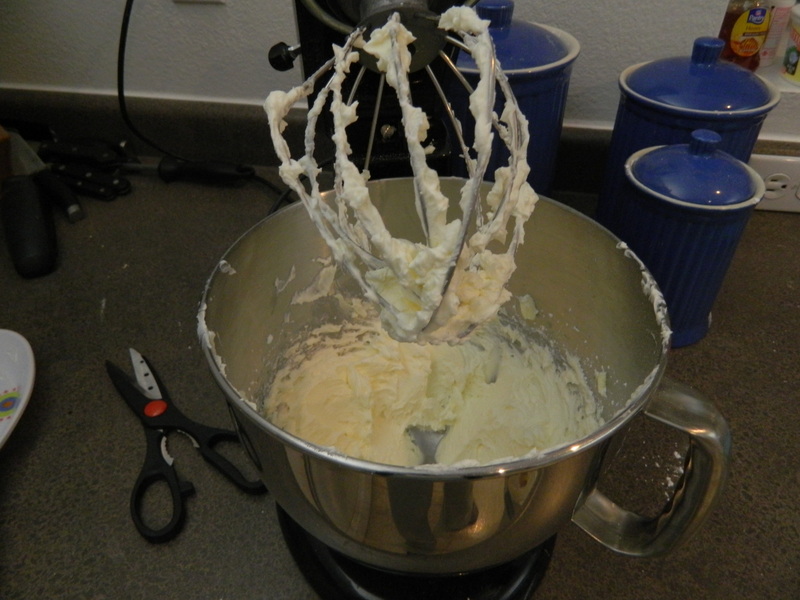 This should yield a medium-thick frosting, good for spreading. 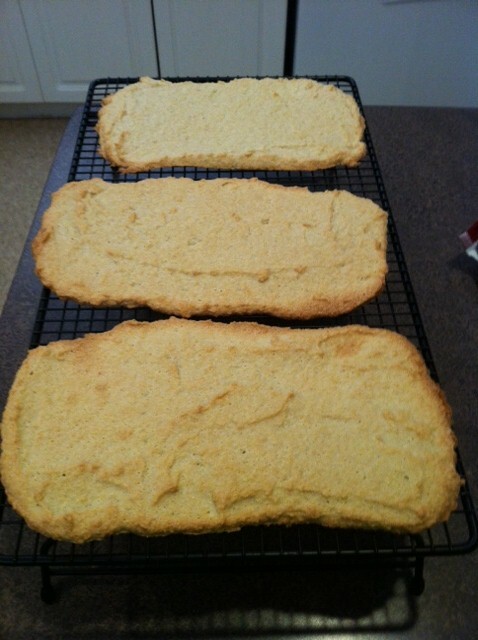 If yours is on the thin side, you can let it cool for 5 or 10 minutes until it is a good spreading consistency. 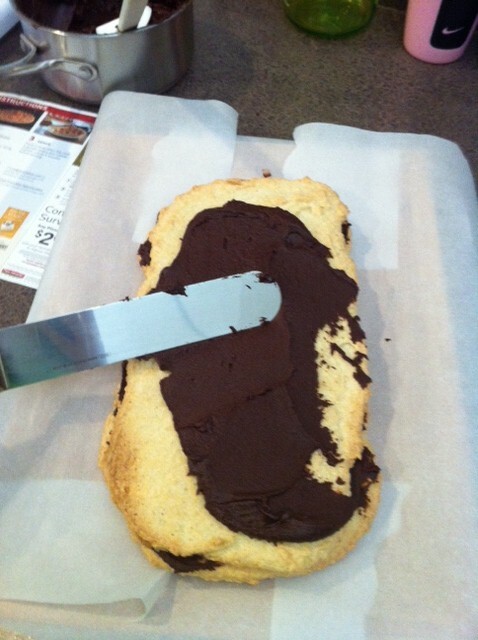 If needed due to spreading, carefully trim your macaroon layers back to their intended rectangular sizes. Place one macaroon layer on a long platter. 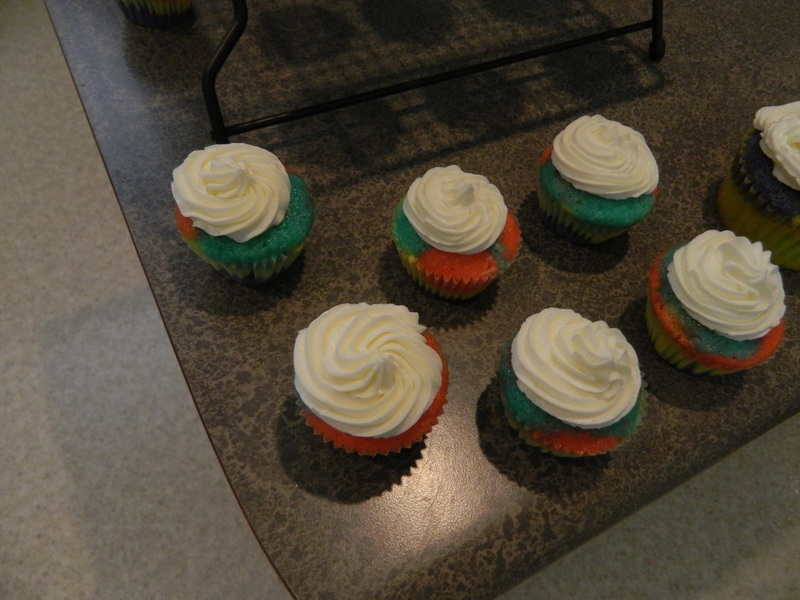 Spread frosting evenly over. Top with another macaroon layer. 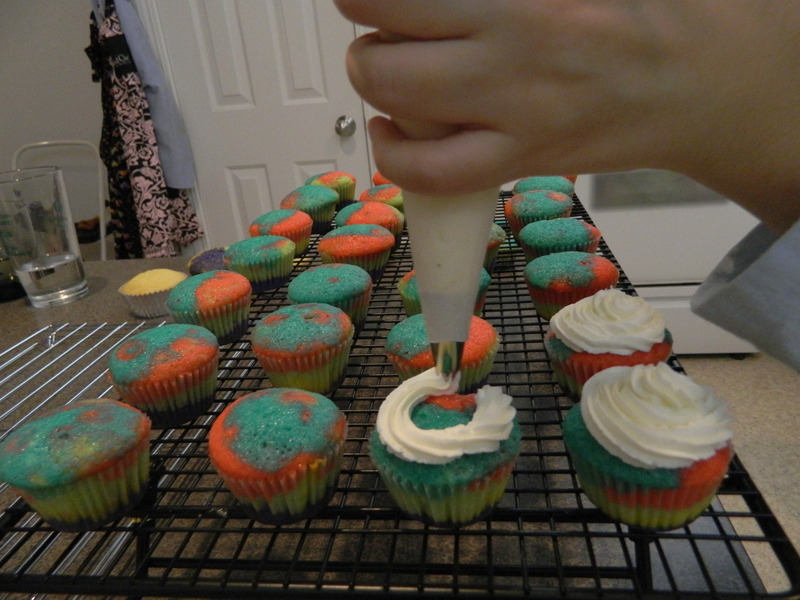 Spread frosting evenly over. Repeat 1 more time then top with last macaroon layer, flat side up. Spread remaining frosting over top and sides of torte. 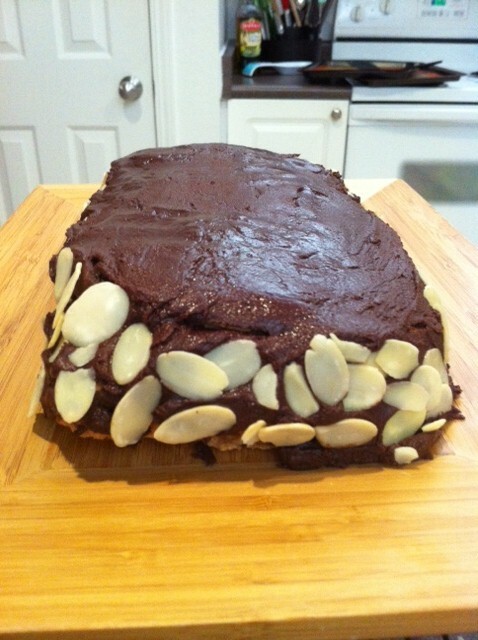 Press sliced almonds onto sides of torte.